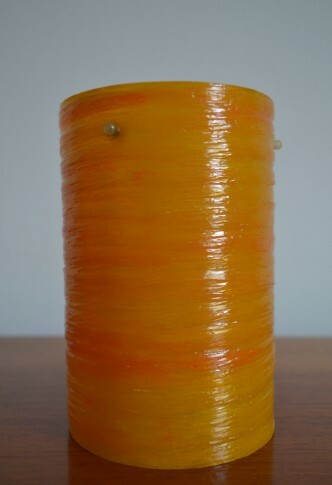 Retro circa 1960s-70s cylindrical spun fibreglass lampshade. 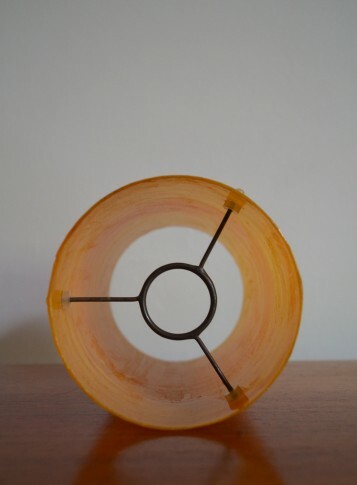 Suitable for a table lamp or pendant fitting. In a cool retro amber/orange colour. The shade holder hole measures approximately 2.8cm meaning it will fit a standard UK plastic lampholder. A fabulous retro shade. The metal frame has a nice used patina, shade has some signs of use. In very good vintage condition overall.